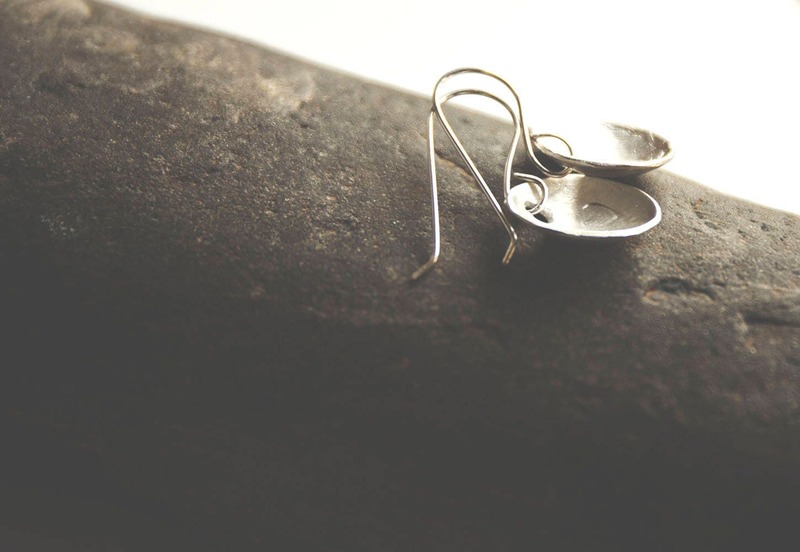 Hand-Fashioned Pure Silver Earrings. 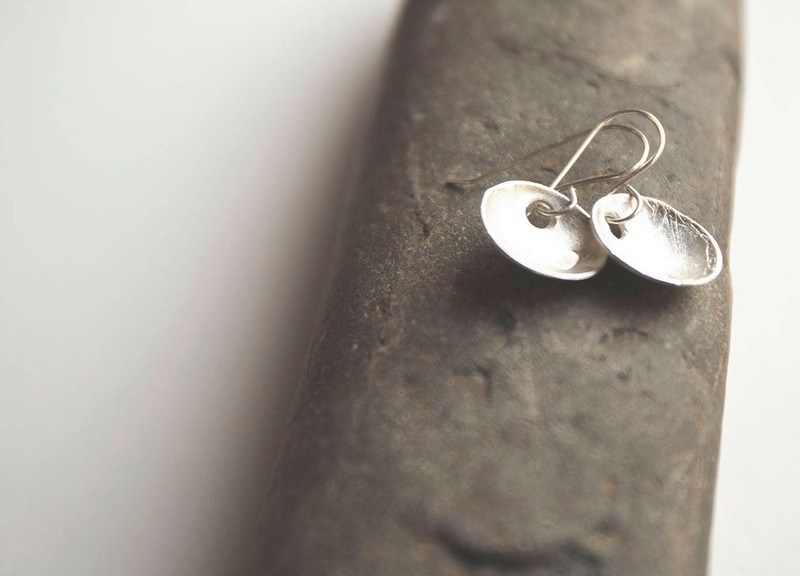 Curved discs each embossed with a little heart. One of a kind. 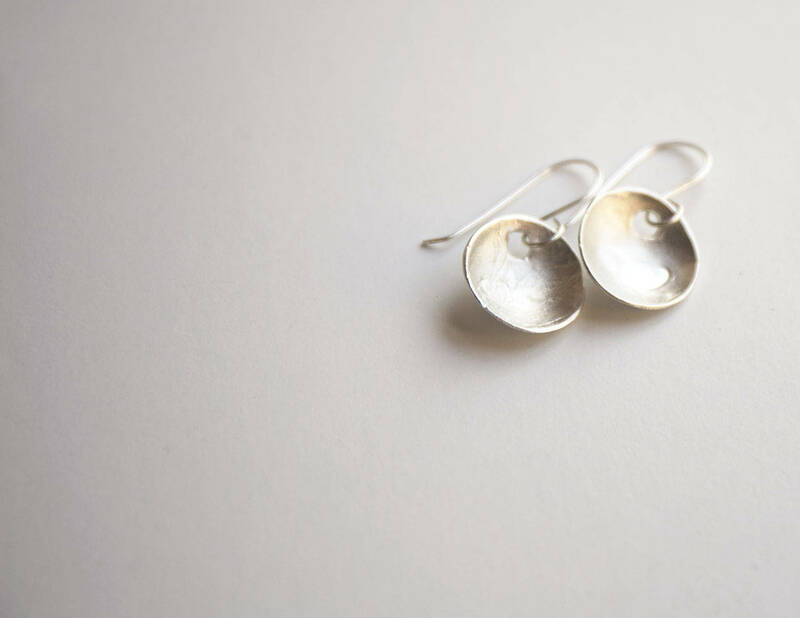 A beautiful pair of handmade pure silver earrings on pure silver earwires. 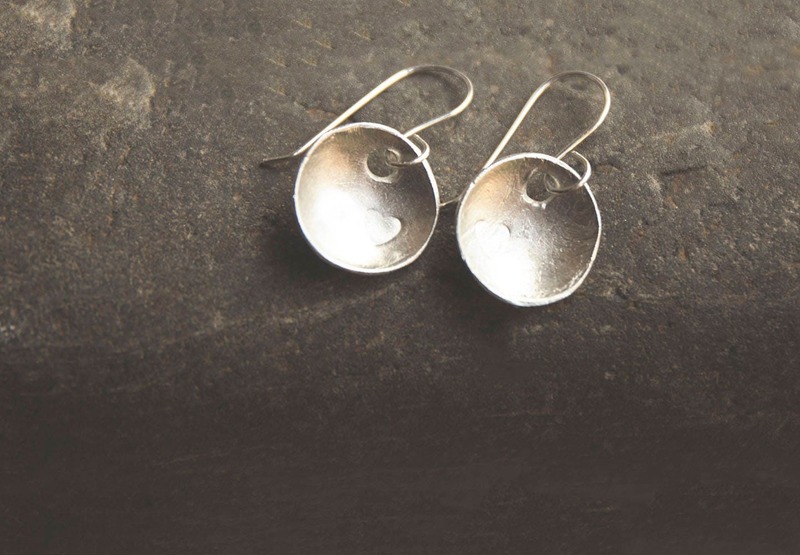 Curved discs of silver, roughly fashioned for a rustic, bohemian look and embossed with a small heart each. 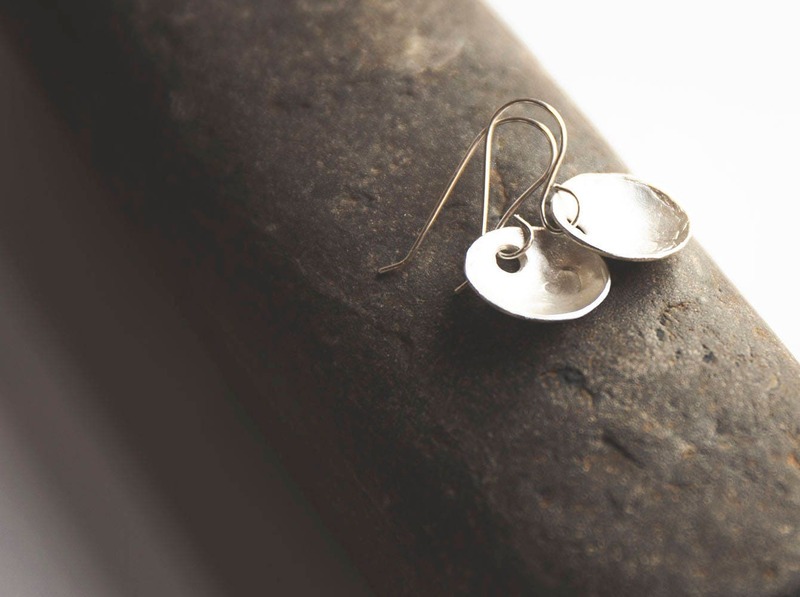 Truly unique, one of a kind earrings, designed and made here in my studio in the North-East of England.